Worked with only one thread! 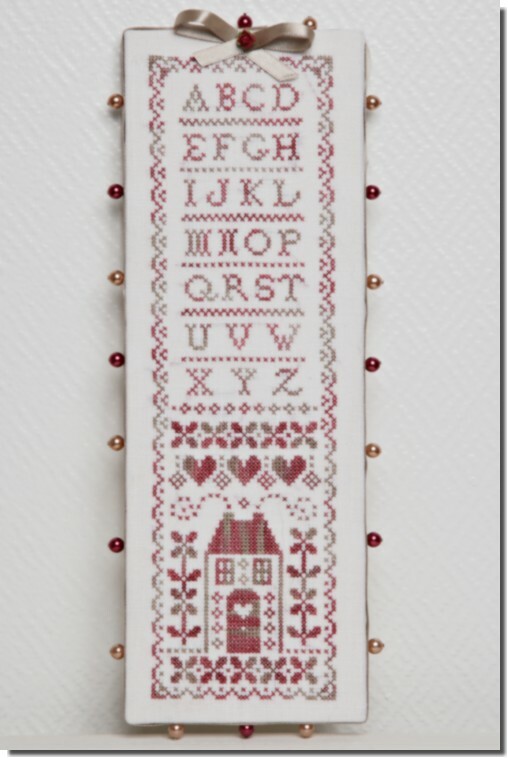 "Little House Alphabet" is a cross-stitch chart with instructions translated in English. This pattern is worked as a monochrome with a single shading thread. You can choose your own colour. The designer has recommanded to use a silk thread from ATALIe called "Shiraz" (there is no counterpart in DMC reference on the chart). The model on the picture has been stitched on a 36 count linen fabric (colour off-white) using one strand of silk over two threads of fabric.